Browse:Home L24.lt The rector of the Polish University of the Third Age in Vilnius: Poles should be on top. ‘In our Polish University of the Third Age in Vilnius, we build bridges between generations. emphasize how important it is to cultivate a sense of pride in being Polish. Poles should be on top’, says Ryszard Kuźmo, the rector of the Polish University of the Third Age in Vilnius. In a few days, Ryszard Kuźmo will arrive to Warsaw, where he will participate in the seminar meeting of the Emigration Affairs and Contacts with Poles Abroad Committee and the Family, Senior and Social Policy Committee. Their discussions will focus on the experience and future of Polish Universities of the Third Age in the East. will take place in the Polish Senate on the 31st of March from 11 AM to 1 PM. During this seminar, Mieczysław Augustyn, a senator, will elaborate on the significance of Universities of the Third Age for personal development of Polish Poles abroad and maintaining their national identity. abroad’, says Ryszrad Kuźmo. ‘It is important to have as many friends as possible, who share the same ambitions and views as ours’, he added. The Polish University of the Third Age in Vilnius was the first organization of this type in Lithuania. Currently, there are about 300 such centers for seniors operating in Lithuania. There are almost 100 students of the Polish University of the Third Age. Poles constitute majority of students; also the majority of lectures are given in Polish. 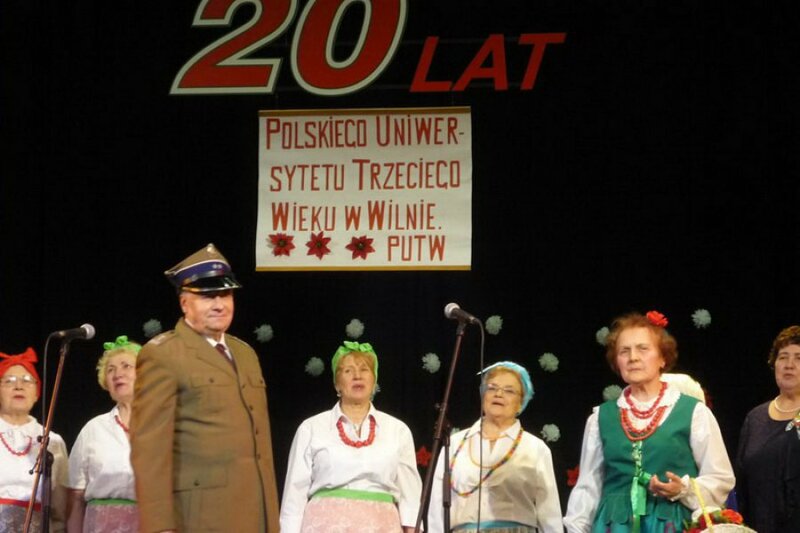 This year, in January, the Polish University of Third Age celebrated its 20th anniversary . The University has issued over 25 volumes of chronicles, a few books. The students are members of the “Rainbow” band. The Polish University of the Third Age in Vilnius participates in, for instance, the project ‘Multiplying by sharing – education for integration’, co-financed by the European Commission within the ‘Learning for Life’ framework. It is a two-year project in which 9 organizations associating Poles abroad take part. These organizations are located in Lithuania, Poland, Germany, Greece, the Netherlands, Latvia, Czech Republic, France and Sweden.